Sustainability is often thought about as an end-result for a business – a destination to get to, with a measurable positive impact on the environment. But it — like digital transformation — is an ongoing process of optimizing toward better outcomes. 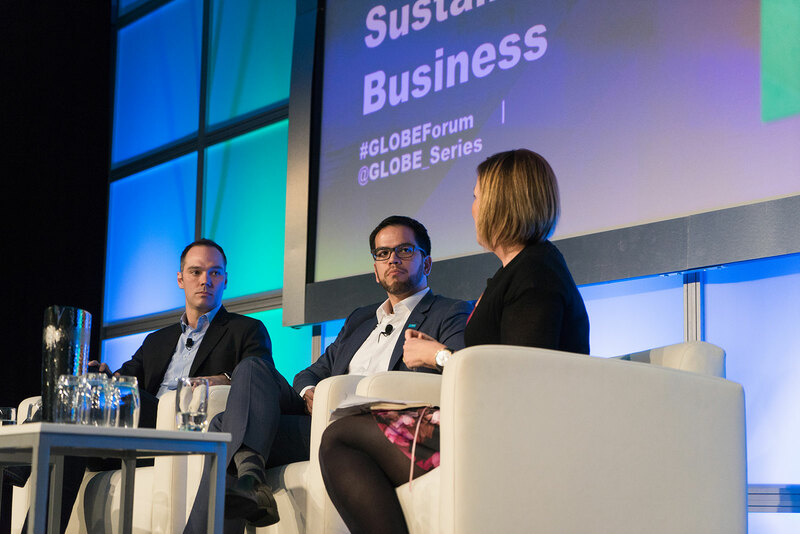 I recently joined Marcelo Lu, President of BASF Canada, on a panel at the GLOBE Forum in Vancouver to discuss how sustainability efforts can (and should) be supported and propelled by digital transformation initiatives. 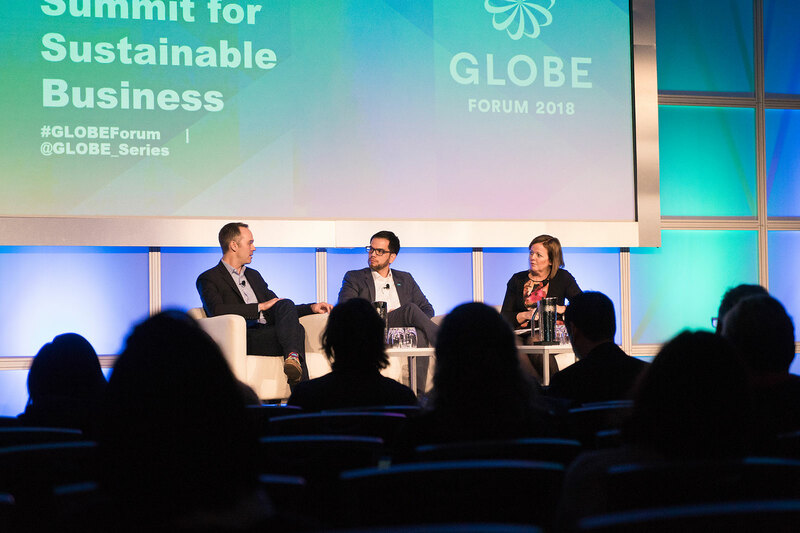 The GLOBE forum is one of the largest international leadership summits on sustainable business and attracts 2,000 attendees from business, government and civil society from more than 50 countries. It’s true. Data is a key that will unlock opportunities for improving sustainability. Take, for example, UPS whose trucks try as much as possible to avoid left-hand turns. Not only does this save millions of gallons of fuel each year, it cuts emissions equivalent to more than 20,000 cars. It also turns out to be a very popular story with conference audiences. The end result is trucks shouldn’t turn left. But the innovation comes from adding sensors to trucks, tracking routes, analyzing data and uncovering an insight. With the right data, you can find efficiencies and savings in places you might not have expected. When we start talking about the ways in which a new technology such as electric vehicles might impact sustainability, it’s easy to forget that it’s not only about replacing existing gas-powered vehicles with those that are electric. The real transformative power comes from making that electric vehicle autonomous, and thinking about it in the context of a sharing economy or transportation-as-a-service. What about when the data is collected and shared with governments? And citizens are empowered to create solutions none of us have yet imagined? Optimizing toward better outcomes becomes an iterative process and important stakeholders in this process are not just the companies that make the cars that drive themselves; policy-makers, city officials, corporate partners, end-users – they all matter. DX Institute Managing Partner, David Potter (left), with BASF President Marcelo Lu and Sally Uren, CEO, Forum for the Future. Despite the many positives that digitalization can bring — both in a sustainability context and more broadly — it was clear from the audience questions that there remains a healthy level of uncertainty about the change that comes with it. There is a great need to be aware of the unintended consequences of digitalization. As Lu said, the more data you get the more transparent you become. This transparency can force companies, governments and individuals to face realities and unintentionally expose each group to unanticipated risks. For example, Lu mentioned that personal health data in the hands of insurance companies could create unfair products for consumers. Organizations hoping to lead change will need to make sure they communicate the reasons for and benefits of change. Governments will be called upon to put in place a policy framework to support those disrupted and help guard against potential unintended consequences of digital transformation.